Morning Glory's Farm Food: Stories from the Fields, Recipes from the Kitchen by Gabrielle Redner, a cookbook I recently received to review, is more than just a cookbook. Sure, it has recipes, but it's also filled with information and stories about the Martha's Vineyard farm, the farmers, the crops they grow, and even other farms on the island. For someone who cares about farms and farmers' markets, as I do, the book sends a great message about getting to know your food and where it comes from. It's all about respecting vegetables and taking the time to notice how much better local food tastes. If you couldn't tell from my Farro "Risotto" with Mushrooms, Asparagus, and Goat Cheese and my Roasted Tomato Farro Bake, I love farro. I'd choose it over rice any day. Its nutty texture goes with so many different ingredients and flavors. 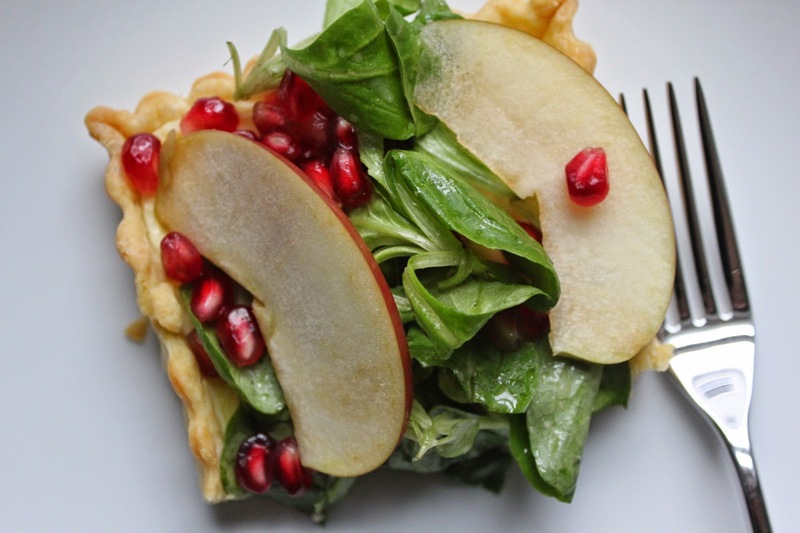 It works well warm, as in a baked dish, or cold, as in a salad. It's even nice in soup. And if you desire a little creaminess to complement the nuttiness, you simply need to cook it risotto-style to make a farrotto. I love its versatility. Dinner At Gibbet Hill Grill, Groton, Mass. Jeff and I are celebrating our two-year anniversary today. We got married at The Estate at Moraine Farm. It's part of the same restaurant group as Gibbet Hill Grill, so for our one-year anniversary, my sister sent us a gift card to the restaurant (thank you, Lindsay!). Over Labor Day weekend we finally journeyed out to Groton to check it out (waiting was a little strategic on my part -- I wanted to go when tomatoes and corn were in season). We're pretty spoiled having The Street just a short drive down the road from us. It's given us more restaurant options, plus the ability to make regular stops into Pottery Barn and Lululemon. One of the restaurants I love over there (that I've written about before) is Del Frisco's Grille. Unlike Del Frisco's Double Eagle Steakhouse down at the Seaport, a spot I find best suited for celebrating special occasions, Del Frisco's Grille has a more casual vibe and atmosphere. It's the kind of place you can stop into just to grab a bite to eat, no advance planning or special occasion needed (well, maybe a little advance planning to get a reservation on a weekend). After work last Wednesday, Jeff and I headed over to check out the new Burgers and Brews Combo. When you order the combo, you get your choice of any draft beer, the Grille Prime Cheeseburger, and fries for $17.50. You know how when you're playing Hearts, you have to wait until hearts have been "broken" before you can start using them? That's kind of how it went with me and pumpkin this year. I kept thinking maybe it was time to crack open my cans of pumpkin, but I was hesitant to kick off the season until one day recently when pumpkin was broken for me, in the form of a delightful pumpkin truffle from a chocolate shop near my work. The truffles were a new item, so the woman at the shop was offering samples of them. It took that one little bite (and the purchase of a second one) to throw me into pumpkin season. All bets are off now. Oh, and since pumpkin is in, naturally cranberry is too. With fall weather just creeping in, it's a perfect time for being outside and continuing to fire up the grill. I was inspired to head out to the grill by a recipe for Grilled Chicken and Corn with Jalapeño-Lime Dressing in the August issue of Food & Wine. Something about the photo kept drawing me in each time I flipped through the issue, and a quick scan of the ingredient list convinced me this was a recipe I needed to try. Of course, I couldn't just make it as written; I tweaked it a little to include my garden bounty and some other ingredients I thought would work well with the jalapeño-lime dressing. 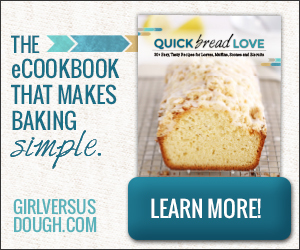 I have a really fun cookbook to share with you guys today. It's called Dumplings All Day Wong: A Cookbook of Asian Delights from a Top Chef, and it's written by former Top Chef contestant Lee Anne Wong. As the title would suggest, the book is full of dumpling recipes. It's been a good summer, hasn't it? As much as I like to hold on to summer forever, fall is my favorite season so I'm not upset it's coming. But before embracing the new season, I want to take a little time to reflect on this one. 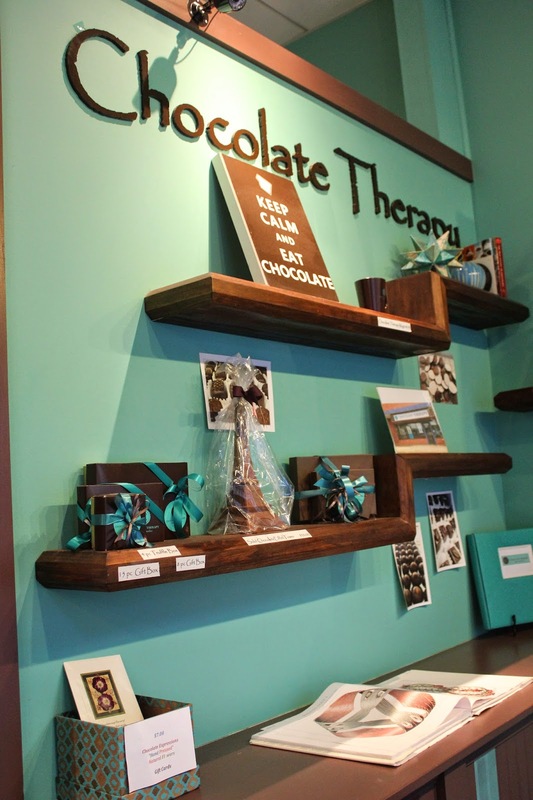 Pairing Chocolate And Wine At Chocolate Therapy, Dedham, Mass. The other night I attended a wine and chocolate pairing at Chocolate Therapy at Legacy Place in Dedham. I've been to Chocolate Therapy several times before -- it makes a great pit stop during an afternoon of shopping, whether for a bite of chocolate or a coffee -- and was excited to see how the chocolates paired with wine (let's be honest… wine and chocolate are two of my favorite things). Can you guys believe it's almost Labor Day? I know we still have a few weeks of summer left, but for some reason, Labor Day always feels like a symbol of the end of summer. To keep the summer going strong, I made these mini profiteroles and filled them with a mixture of ripe, fresh-from-the-garden tomatoes and basil, plus olive oil, balsamic vinegar, and a little salt and pepper. These mini profiteroles would be perfect to serve at any Labor Day party or barbecue or just as a dinner-party hors d'oeuvre. Those of you who have been reading this blog for a long time know that I spent a little over a year working at Flour Bakery. It was at a time in my life when I was seriously considering culinary school. I was unhappy in my editing job at the time (to the point that I was in tears pretty much every Sunday evening stressing about and dreading the week ahead), and I wanted to do something I felt passionate about. As I was searching job postings, I came across one for a baker position at Flour. I had a lightbulb moment and thought maybe I could work at the bakery and learn on the job as opposed to paying for culinary school. It was one of the best decisions I've ever made. I am getting tons of gorgeous, colorful tomatoes from my garden, and while I love eating them as is, I've also been trying to find new ways to use them. They're great in salads and in pasta dishes, but I was searching for something a little different. Last year I tried planting a vegetable garden for the first time, and while it was a learning experience and a lot of work, overall I was happy with the results and enjoyed getting outside, maintaining it, and reaping the benefits. I got a decent amount of plum tomatoes and peppers, handfuls of herbs, and some zucchini and pattypan squash. This year, I was inspired to plant a garden again and went to nearby Volante Farms toward the end of May to get the best selection of tomatoes (by the time I'd decided to plant last year, plum tomatoes were just about the only variety left). I kept the tomatoes inside until June just in case of too-low overnight temperatures. I decided to plant along the side of the house this year instead of in the backyard (because we had visions of trying to get our backyard into some kind of shape), so I had a little more room to work with but wanted to keep things simple. I picked out a variety of tomato plants, all of which would yield bite-size tomatoes (my love of mini foods extends to vegetables as well!) -- Sun Gold, Yellow Pear, Red Pear, Sweet 100, Sweet Gold, and Golden Sweet -- some cubanelle pepper plants, and some basil and thyme. Dinner At Chopps American Bar And Grill, Burlington, Mass. I love venturing to Burlington to go to shopping. There's a freestanding Crate & Barrel, a West Elm, a Barnes & Noble, and tons of other favorite stores of mine in the Burlington Mall. With all that shopping, I usually end up wanting to grab a bite to eat too. For something a bit nicer and more substantial than a slice of pizza at the food court, down the road from the mall, now there's Chopps American Bar and Grill. Chopps American Bar and Grill is located inside the Marriott and features a menu devised by chef David Verdo and consulting chef Daniel Bruce. Verdo has cooked at various restaurants in the Boston area and I've experienced Bruce's cooking before at Meritage. The background of these two chefs gave me high hopes for a meal at Chopps, and I was not disappointed. Orta Ristorante, Pizzeria & Bar, which takes its name from Italy's Lake Orta, features northern Italian cuisine crafted by chef Brett Williams, who spent time traveling in Italy, working as an apprentice to chef Jimmy Burke, and honing his skills at Stella before purchasing the restaurant in 2012. Admittedly, Orta is a bit off the beaten track for me, but I always love trying new restaurants and couldn't pass up an opportunity to attend a media dinner at the restaurant. Williams ended up being called away to a last-minute event in New Jersey the night of our dinner, but his wife and co-owner of the restaurant, Cara, and Orta's sous chef were there to showcase what Orta has to offer. Before we start talking about this farro "risotto" with mushrooms, asparagus, and goat cheese, I realized there are some things some of you probably don't know about me. And it's time to come clean. First, I am obsessed with micro pigs -- mini pigs, teacup pigs, all of them. Seriously. Whenever I'm having a bad day, I just do a Google image search for them, and I instantly feel better. (Try it. The cuteness is almost unbearable.) If only Jeff would agree to getting one for a pet. I'm sure Gunner, our 90-pound chocolate lab, would love a micro pig for a companion. Dinner At Sarma, Somerville, Mass. I love Oleana. It is one of my favorite places to sit outside and share small plates with friends. The food is incredible. Sofra makes my favorite chocolate chip cookies. And they both make one of my absolute favorite desserts: chocolate-hazelnut baklava. So when Sarma (a joint venture from Cassie Piuma and Ana Sortun) opened, I couldn't wait to go and I had really high expectations. The concept is similar to a tapas restaurant, with Sarma offering small, seasonal plates that are meant to be shared (meze). I am always up for sharing lots of little plates! The rule when making caramel, especially when starting with just sugar, is never walk away from the stove. But my washing machine was singing and my sugar wasn't melting yet, so I ran downstairs to switch the laundry in the middle of making caramel. When I got back upstairs and looked in the pan, there was a small puddle of deeply browned caramel in the middle and I thought I'd lost it, but as I mixed that caramel into the rest of the sugar, the whole mixture turned a lovely deep amber, and it actually came out just perfect. Why was I making caramel? My mom and my two sisters and I recently spent a week in Aruba for research. No, you didn't misread that. We went to hot, sunshine-filled Aruba and spent days working on our tans, reading books for fun, playing cards, and filling up on grouper for research. 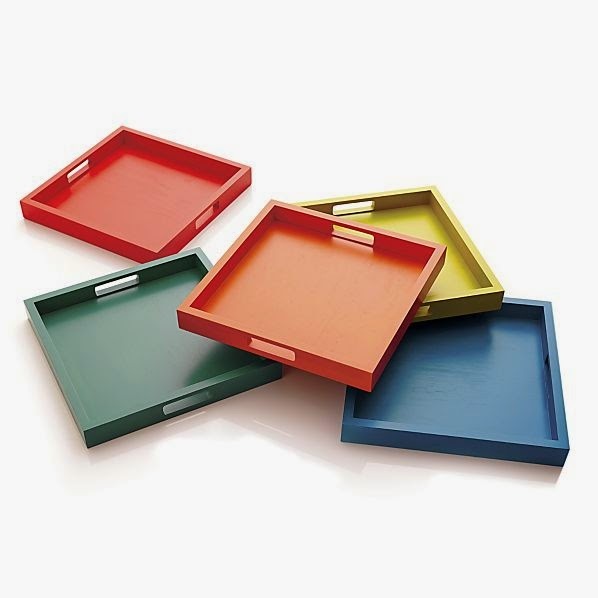 Colorful Zuma Trays at Crate & Barrel. I'd been eyeing these trays every time I went into Crate & Barrel and finally decided I needed one. I went with dark green, and I love it! I think it will be such a fun piece to incorporate in summer table settings. Dinner At Bondir, Concord, Mass. Hi, friends! You may have noticed that I was kind of quiet this past week. That's because I was in Aruba, finally getting some warmth and sunshine and spending quality time with my mom and sisters (posts to come on some great restaurants there)! Before I left, though, Jeff and I made a last-minute decision to go out to dinner, and after looking over lots of menus from various restaurants I want to try, we decided to see if we could get a table at Bondir in Concord. There was a spot available at 8:45, and even though that's a bit later than we'd normally go out, we took it. Concord is about a half-hour drive from us, so the late reservation gave us plenty of time to get ready (and time for me to do some last-minute packing) and to make the drive out there. We parked on Walden Street, where Bondir is located, and I looked around at all the stores (closed because it was after hours) lining the street and was confused as to where Bondir might be in the midst of them. We walked a little ways down the street, and at the end of the row of stores, set back a little, was the restaurant. Today is Whole Grain Sampling Day! You may remember that last year I was a whole grain ambassador, and I am happy to be a whole grain ambassador again this year. What does that mean? It means I get to tell you all the great things about whole grains! Whole grains contain the three edible parts of a grain: the outer bran layers, which are rich in fiber and B vitamins; the germ, which is full of antioxidants; and the starchy endosperm. Because refined grains have the bran and germ removed, they are missing a lot of essential nutrients. So if you're trying to get the biggest bang for your buck healthwise, whole grains are the way to go.